In May, there was a tumult in the media over a shifting of an alleged man-eating tiger, Ustad, from the Ranthambore National Park and Tiger Reserve to the Sajjangarh Biological Park in Udaipur, Rajasthan. Conservationists and biologists rue that such clamour is missing when forest corridors are lost to human greed. Forest corridors are linkages between two forests and facilitate species movement and gene flow. Data acquired through the Right to Information Act in 2013 by Environment Impact Assessment Resources and Response Centre, a non-profit, says that India’s daily average forest loss is 135 hectares—equivalent of at least 184 football fields. When land is required for a new industry or a linear project, it is usually the forests that get the chop. Rajesh Gopal in his new book Dynamics of Tiger Management in Priority Landscapes says these forest corridors are like umbilical cords, without which biodiversity will perish (see interview). The book is an important milestone in wildlife conservation literature. It provides a detailed understanding of various issues in wildlife management and conservation—from the status of tigers, co-predators, prey and habitat to issues and challenges in tiger conservation. 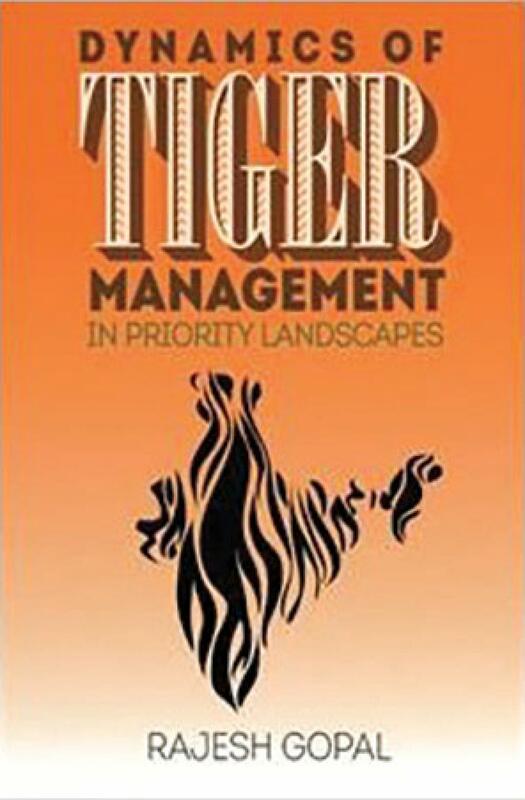 The book suggests ways to evaluate and develop a mitigation strategy for priority tiger landscapes. Tigers in India fall into six major landscapes—Ranthambore-Kuno (via Sheopur), Corbett-Rajaji and adjoining divisions, Kanha-Pench-Satpura, Kanha-Achanakmar-Bandhavgarh, Sanjay Dubri-Guru Ghasidas and linkages in Western Ghats, Bandipur-Mudumalai-Wyanaad-Nagarhole. 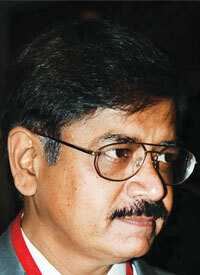 Gopal says the rationale for a landscape approach is based on the need to consider a tiger landscape in totality. The core areas of tiger reserves or protected areas within a tiger landscape are favourable for the species to feed and breed and provide a reproductive surplus. The areas producing reproductive surplus are ‘source areas’ and the adjoining or nearby forest patches with few tigers are ‘sinks’. The latter require gene flow from source areas to survive, and this gene flow, dictated by the land tenure, territorial sociology of the species, constitutes the ‘source-sink’ dynamics. It is important that the landscape should have porosity for tiger gene flow, since such flow (tiger movement) is imperative for the meta-populations to survive. This desired gene porosity is a must and will benefit all species present in the landscape, if the tiger source areas are connected through corridors. Such corridors may be forests, gregarious crop areas, dry river beds and rocky outcrops. They have been mapped at the macro level using remote sensing data, and delineated using the state of the art methodology. This book provides a strategy to manage the tiger landscape vis-à-vis the tiger dynamics, by categorising a tiger landscape into four distinct areas—P1 areas: core areas of tiger reserves, national parks, sanctuaries, P2 areas: buffer areas of tiger reserves, all forest areas falling within the identified corridors, all non-forest areas within the identified corridor, P3 areas: forest areas outside the identified corridors, non-forest areas outside the corridor (with or without habitation), small townships, and, P4 areas: existing industrial areas, diverted forestland (within or outside the identified corridor), existing developed cities (within or beyond the corridor). It also provides a strategy for conservationists to manage each of these areas, while highlighting the importance of corridors through real data modelling. There are safeguards provided through enabling provisions in the Wild Life (Protection) Amendment Act, 2006, to enable such corridors, lack of which can often result in fatal human-tiger conflicts. In most cases, it is the tiger which suffers. Tiger population is determined by the carrying capacity of the tiger reserve, and there is an urgent need to connect small populations with large populations for their long-term survival. 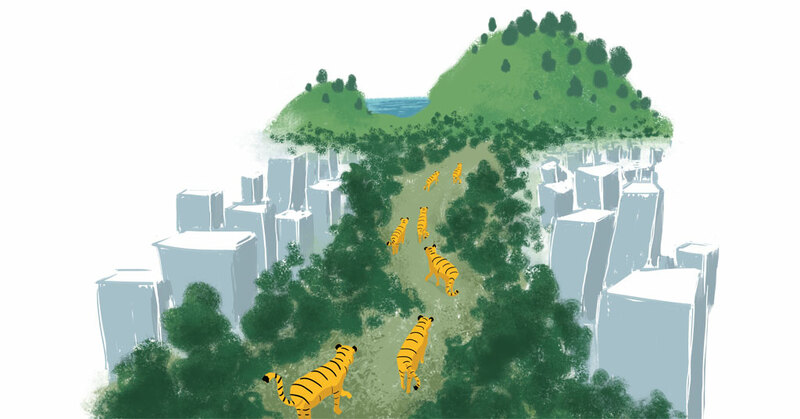 How many tigers can survive in the available tiger landscapes? We are nearing the carrying capacity with 2,226 tigers (mid-value). Stretching on the higher side, even if we pack all our reserves as per their carrying capacity with active management, we may be able to add another 500. More tigers mean more challenges in the form of human-tiger issues and spaces linked with corridors. We need to be practical and should not project fancy ideas like "doubling the tiger number". What steps can the government take to secure priority tiger landscapes? We need a landscape approach. Tiger reserves or protected areas cannot be viewed in isolation. Tiger is a species of meta-populations, and thrives in `sources' and `sinks', governed by its social dynamics and land tenure patterns. This means we need good tiger-bearing forests within and outside the tiger reserves. To ensure this, we have to strengthen the tiger agenda in the core areas by supporting protection, with other imperatives like voluntary village relocation, capacity building for staff, responsible tourism, smart patrolling, tiger monitoring and so on. This requires complementation in the buffer and corridor areas with an inclusive agenda which can provide ecologically sustainable livelihood options to local people to reduce their dependency on forests, avoiding development in certain corridor areas, sectoral integration to benefit locals and other stakeholders, mainstreaming tiger conservation in sectors where tiger is not the goal, on-site and off-site mitigations to benefit conservation, support from corporate and public sector for conservation, capacity building of frontline staff, day-to-day tiger monitoring and so on. Is there a future for smaller tiger reserves, like Ranthambore, which hardly have corridor connectivity? Yes of course, provided they are linked to other source areas through forests. Even a reserve with more than 50 tigers may become extinct if devoid of a corridor. A low density tiger area can last long if it has linkages. In the case of Ranthambore, its connectivity with Kuno is crucial.